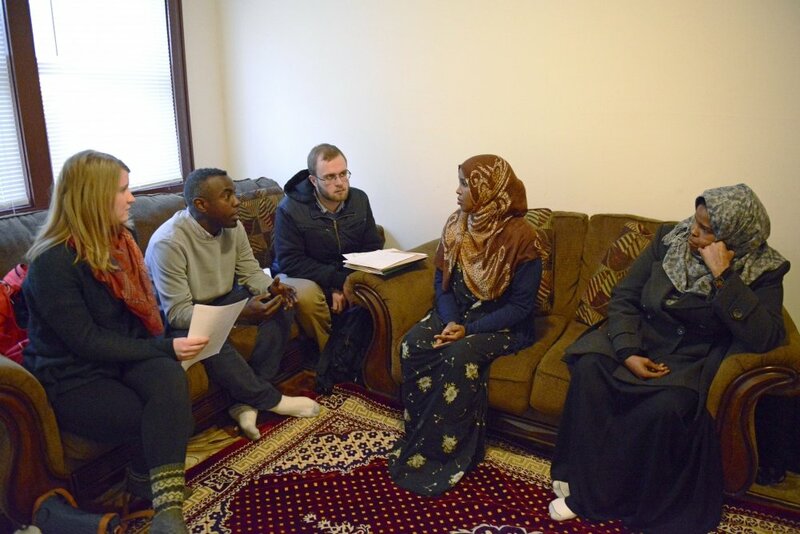 Raju Chaduvula and Ryan Faircloth from the Minnesota Daily published an article this week on how the now halted travel ban affected people in our community. One of those affected by the travel ban was Hodan Mursal. The 36-year-old from Somalia, arrived in Minneapolis from Egypt on Wednesday. She was originally set to arrive near the end of January but was delayed by the ban. “It was really shocking because 11 years … I was waiting in the [refugee] process, and when I finished the process, and after that they canceled it, I thought I had lost everything,” Mursal said. The article goes on to talk about what city and state officials have been doing to lessen the impact from the ban and make sure that affected community members are able to obtain the resources they need. Read the rest of the article here. Learn more about the report at the Minnesota Daily. Back on Jan. 28 at St. Paul Central High School, a public forum titled “Why Are Police In Our Schools?” was held in order to allow the community to reflect on the issue of law enforcement and student relations in local schools. Another thing this forum aimed to do was to try and inform the community on what the state is trying to do to better relations with SRO’s (School Resource Officers). The panel consisted of five adults and five students representing both Minneapolis and St. Paul. A variety of questions were asked at this forum and the event got emotional at times. The student panelists spoke of feeling like they feel “disconnected,” “looked down on,” “harassed,” “not understood,” and “disrespected” by the SROs at their schools. One student said he had been labeled a drug dealer. Along with that label he said he was “pushed, thrown down and head bashed into the ground” for something he said he did not do. Find out more about the impact the forum had at MSR News Online. A new, more collaborative approach has increased family participation in spring conferences held at Battle Creek Middle School in St. Paul. This April, our Spring Conference turnout had a 7% increase from last year and a 19% increase from two years ago. Many programs shared information about opportunities to develop new skills, improve academically and stay physically active during the summer.